Sherman, Set The Wayback Machine For 1559! Here’s something you don’t see often. 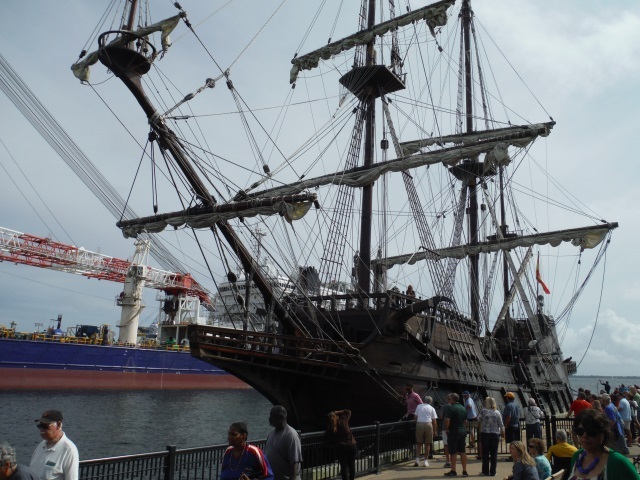 It’s the (replica) 16th century Spanish galleon El Galeon sailing into Pensacola Bay. I’m pretty sure the round white fenders aren’t historically accurate. We do get some interesting visitors around here. 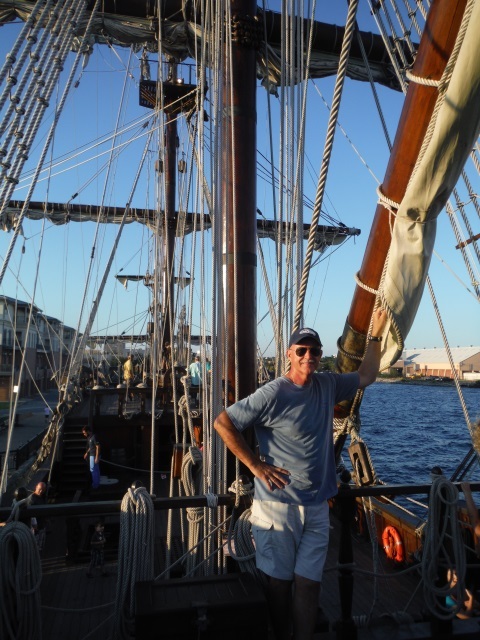 You may have read our earlier post Meet The New Neighbor!, in which I described the visit of the Spanish tall ship Juan Sebastion de Elcano earlier this year. Well they must have given Pensacola a good review on Spain’s edition of TripAdvisor, because now another Spanish sailing vessel has dropped by to say hi. While nowhere near as pretty a ship as the Elcano was, this one has stronger ties to our area. 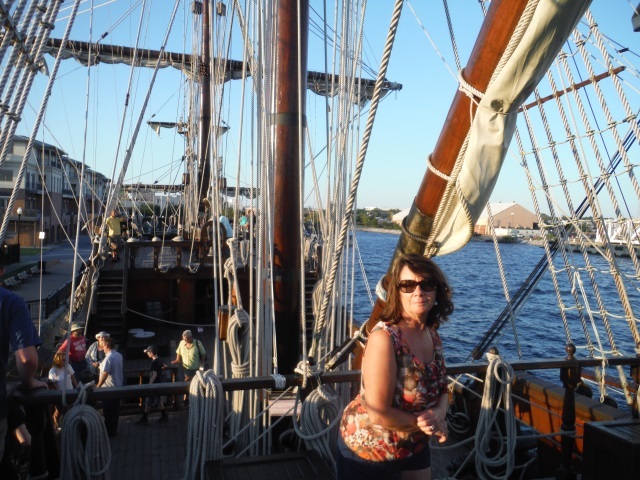 It was on vessels like this one that Spanish colonists first sailed into our bay over 450 years ago to establish America’s first European settlement. 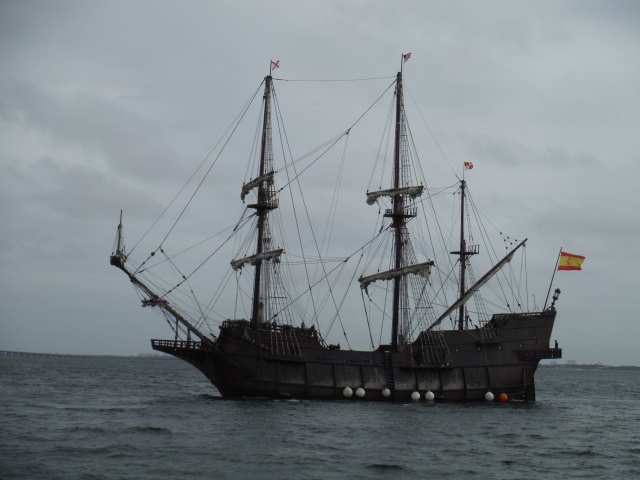 In fact, our local university’s archaeology department is currently conducting an investigation and analysis of two similar vessels that sank in Pensacola Bay during the great hurricane of 1559. The one that cost Pensacola the title of “America’s Oldest City” and allowed St. Augustine to grab the glory instead. So what is she doing here? I have no idea. 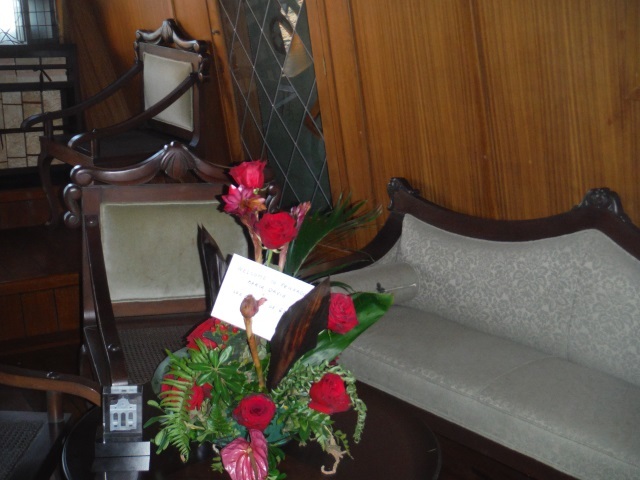 Unlike the Elcano, there was no one here to meet her when she arrived. No one official, anyway. Not the Mayor, no dignitaries from the local Navy base, not a crew from the TV station, Just a lone drone buzzing around shooting arrival video. The $10 per head they’re charging to tour the vessel can’t possibly cover their operating expenses. But I’m not complaining, mind you. We’re happy to have her here. She’s a wood and fiberglass composite. After the hull was built using traditional shipbuilding techniques, it was given a layer of fiberglass. The sails are dacron rather than canvas. The running rigging, however, is sisal rather than nylon. 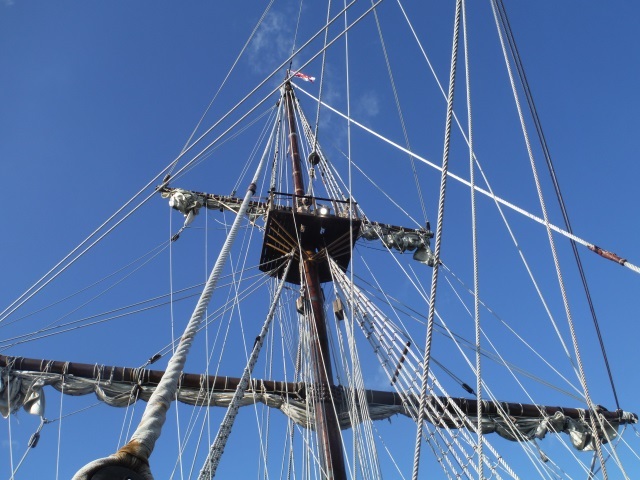 The masts are made of laminated lumber rather than tree trunks. 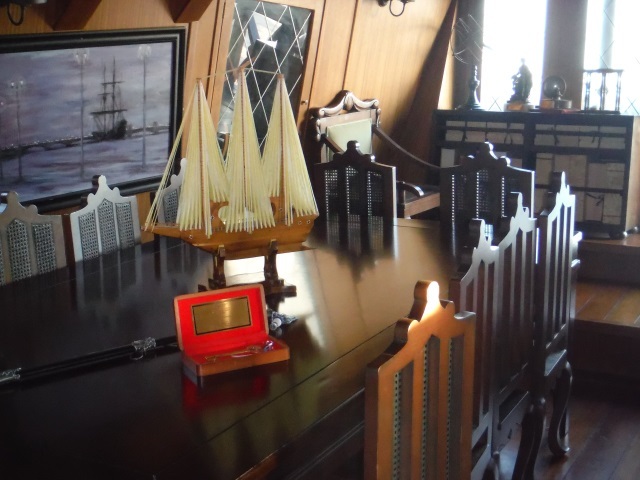 The ship has a modern diesel engine and generator, current electronic navigation instruments (there’s a radar there but you have to really look for it), and even air conditioning. Just like the galleons of old, she has a flat bottom and no keel, and really can’t sail in any direction except dead downwind. I was told she can take 50 foot seas from the stern with no problem, but hit her with a five foot sea on the beam and she wallows at least 35 degrees. She did not appear in any of the Pirates of the Caribbean movies. Would you like to take a brief look around? 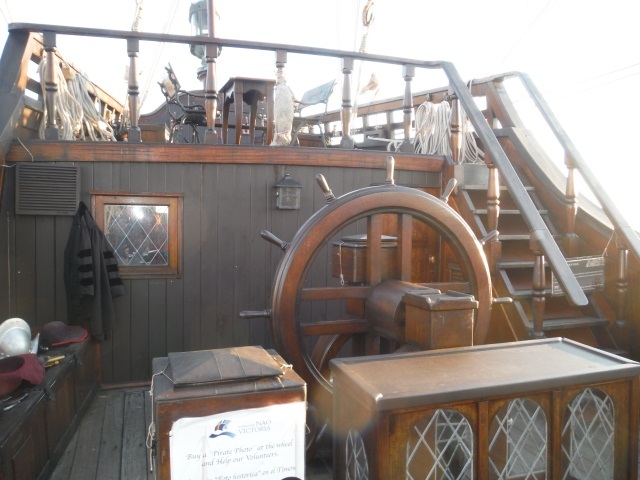 Here are a few shots we took when we toured her. We can’t wait to see who stops by to visit next! This entry was posted in Who? 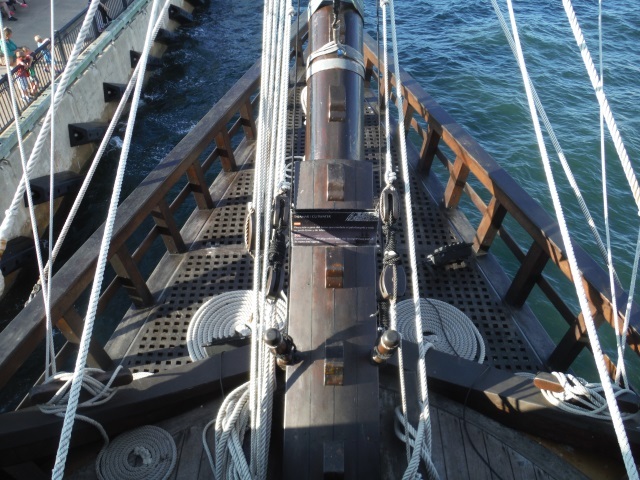 and tagged el galeon, Pensacola galleon, Spanish galleon on October 29, 2015 by Robert. In the truest Pooh fashion, it was a very blustery day. Fresh from its Mexican vacation, the remnants of what had been Hurricane Patricia dropped by to pay us a visit. At one time the strongest hurricane recorded in the eastern Pacific with winds topping 200 mph (some reports say gusts as high as 245), by the time it stopped by to say hello to Pensacola it was a much diminished echo of its former self. Still, buckets of rain and near 50 mph gusts and the sound of fenders grinding against the pier were enough to cost us a night’s sleep and unravel our plans for the day. So we piled throw pillows in the settee and Rhonda, Pooh Bear and I settled in to catch up on some shows that have been accumulating on the DVR. 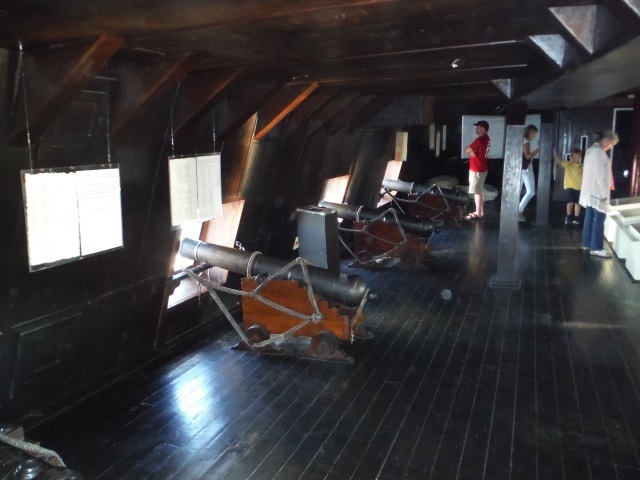 The occasional loud bang or violent shudder would send us scurrying to the ports to take in the scene outside and survey for possible damage. We rocked and we rolled. We sprang a few leaks. We popped a 10” fender and I went topside to pull a spare from the line locker and rig it. I went above again when an empty diesel fuel can tried to learn to fly. We hung wet foul weather jackets in the shower and started a collection of damp towels. 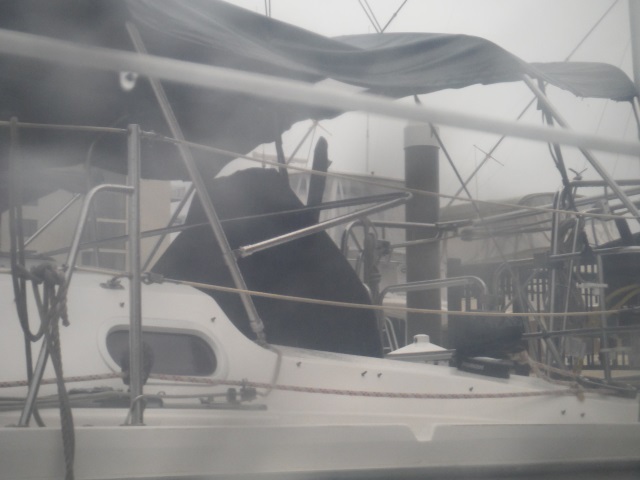 And we watched as gusts started blowing apart the bimini and stripping the cover off the dinghy on the boat in the slip next to ours. It was 24 hours of anxious, uncomfortable bluster. Although it wasn’t declared as such, we basically rode out a tropical storm, as we measured a peak gust of 42 knots (48 mph, or 78 kph) and received six inches of rain. 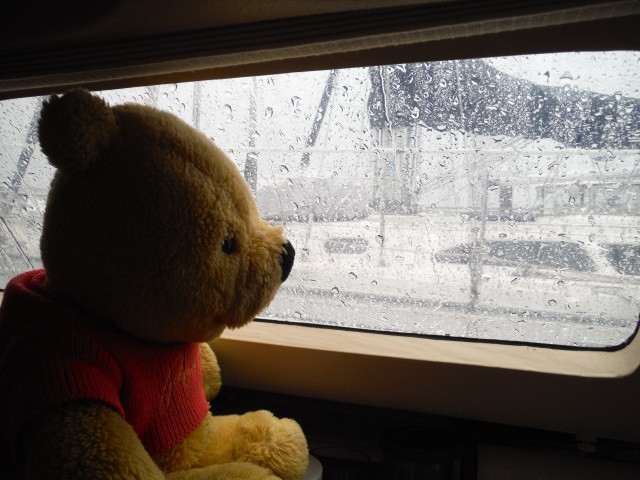 Thank goodness Pooh is a bear of calm manner and even temper, as his stoic example helped assure us that, while a bit unpleasant, everything was under control. Only a peak of 35 knots here. We eventually measured 42. 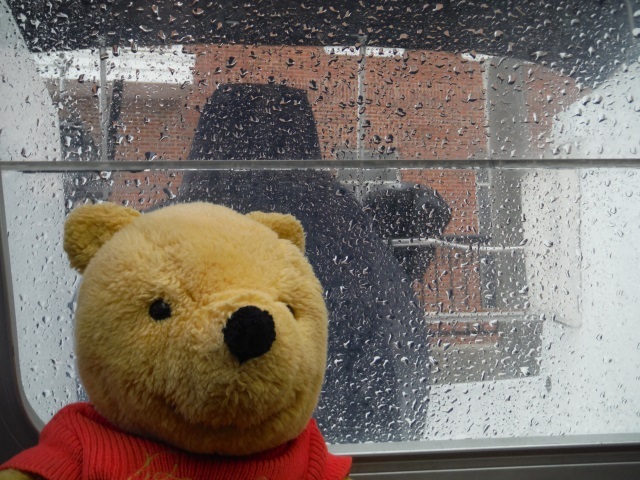 He’s just the crewmember to help brighten the mood during a long, dark, and oh so very blustery day! We’ll have more to say in a future post regarding his role onboard Eagle Too. But for now, may we have some sunshine please? This entry was posted in When? 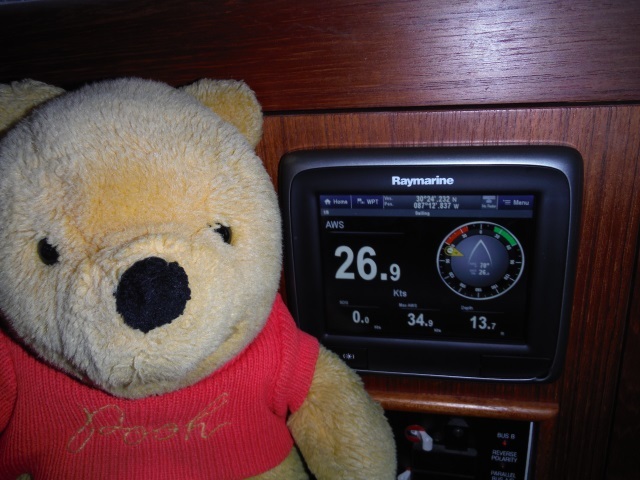 and tagged hurricane patricia remnants, windstorm, Winnie the Pooh and the blustery day on October 27, 2015 by Robert. Our new anchor rode is here. 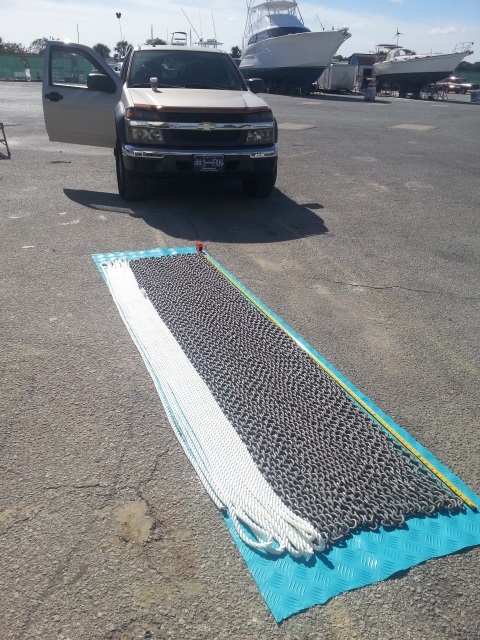 It’s 275 feet of 5/16ths G4 hi test chain with another 125 feet of 5/8ths three strand line spliced to it. 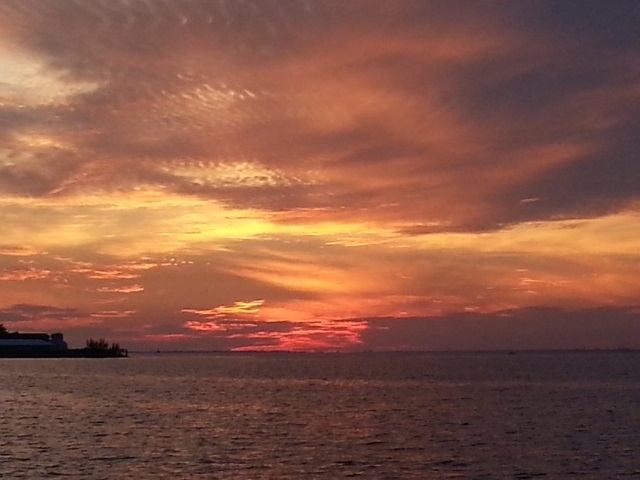 Yes, you get pretty excited about things like this when you live on a boat! 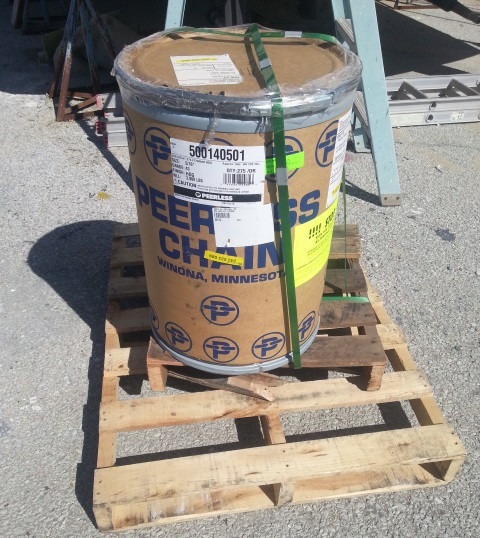 At a little over 300 pounds, it was a bit heavy for the mailman to handle, so we had it delivered to Troendle Marine at Pensacola Shipyard, where they were able to use their forklift to unload it from the truck. Why a new rode? Our existing one is only 100 feet of chain and another hundred feet of line. While that’s been plenty for anchoring in the thin waters of the Pensacola area, It’s just not long enough for cruising in the islands, where the depths can easily be 40 or 50 feet just a few boat lengths off the beach. With 400 feet in the anchor locker now, we can set the hook in depths up to 80 or 90 feet if we have to (you only need a scope of 4 or 5 to one in water that deep). More importantly, we’ll be able to anchor with all chain in water up to 50 feet deep. Now I know they say that a properly made chain to rope splice is just as strong as the rope itself, but I just don’t like trusting our home’s safety to a glorified knot. All chain makes for a better night’s sleep. Before we brought the new rode onboard, I first wanted to mark it every ten feet so we can tell how much we’ve let out when we drop anchor. It’s long. It’s winding. It’s our rode. Once it was laid out, it was a quick and easy job to mark it. We wanted to keep the existing rode as a spare in case we ever need to set a second anchor. 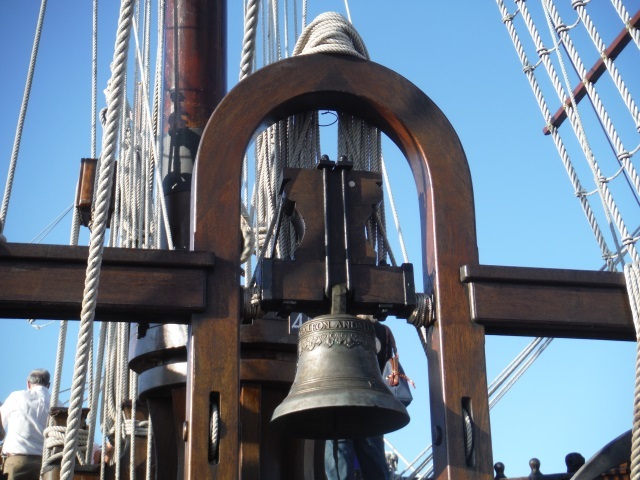 But I didn’t want the weight of 100 feet of chain that we might seldom if ever use sitting in the bow of the boat. 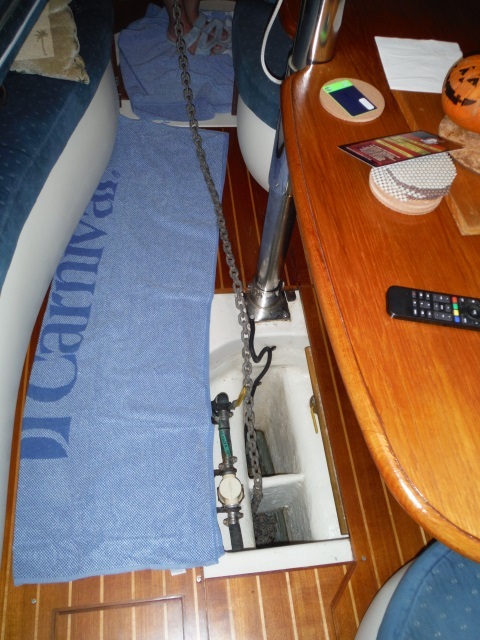 Fortunately, our recent success at achieving a dry bilge had created the perfect storage spot. 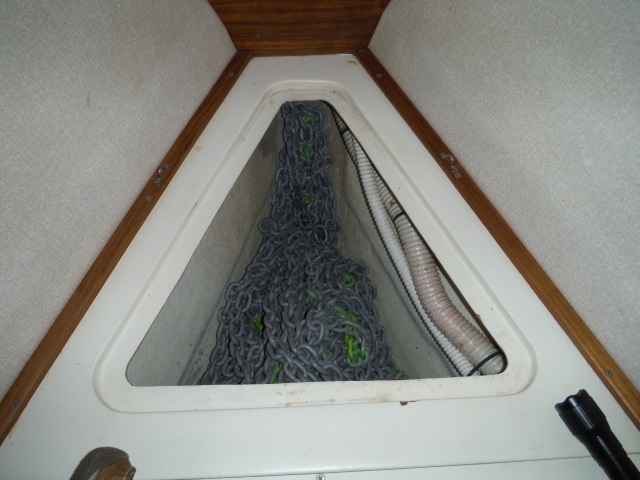 We transferred the existing rode from the chain locker to the bilge. 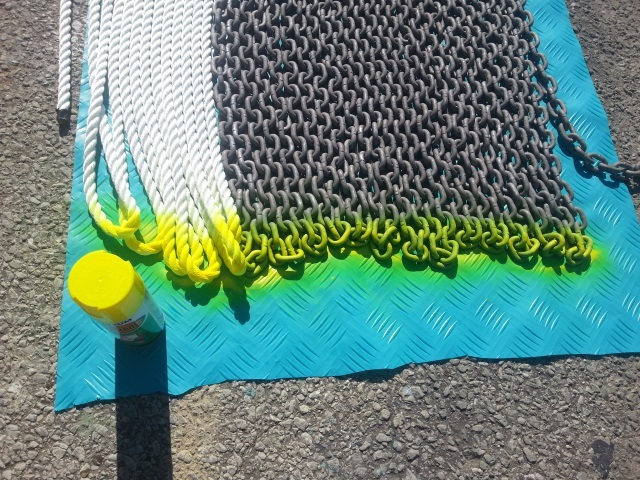 The one problem we were left with was how exactly to get 300 pounds of chain and line down to the dock and onto the boat. But I had an idea, one that was just crazy enough to work. A dock cart wagon train! 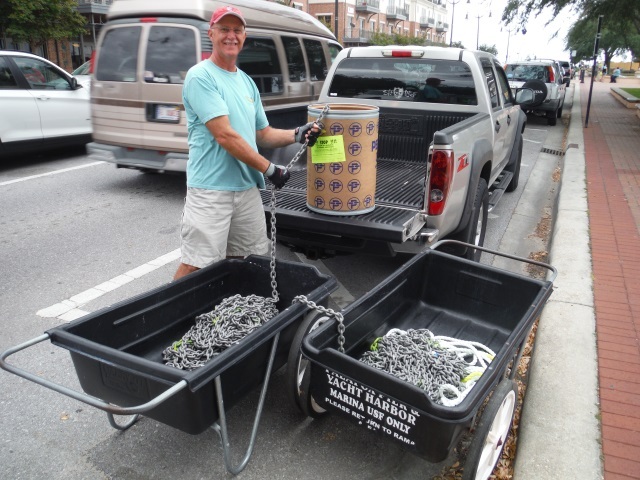 By splitting the load between two carts, we were able to pushme pullyou our way down the marina ramp and onto the dock, parking them on the finger pier alongside our bow. 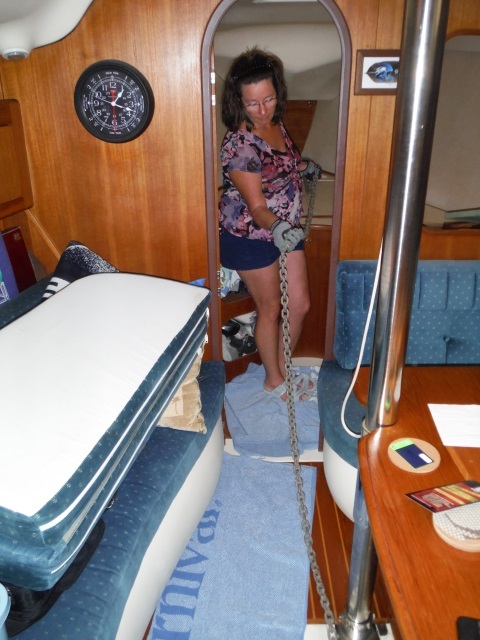 Then while Rhonda lay in the V-berth and pulled from below, I was able to stand on the bow and pull the rode from the carts on the dock and feed it through the windlass and into the chain locker. And with that, we’re another step closer to being ready to go. Next will be the oversized anchor we’ll soon be ordering. While our current 35 lb Manson Supreme is the “right” size for our boat, we know that before we leave, we want one that’s at least two sizes too big. Again, it’s all about getting a good night’s sleep when the winds start howling! This entry was posted in How?, Why? and tagged new anchor rode, replacing anchor rode on October 25, 2015 by Robert. Affordable, robust, reliable, and with repair parts widely available. 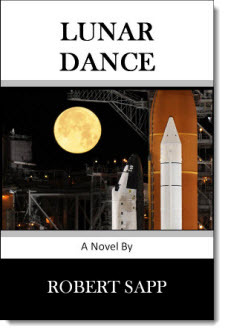 Unfortunately, they have a bit of a problem containing undesirable odors, or anything else for that matter when the boat starts heeling in a stiff breeze. So while there are indeed sailors out there who rely on one of these for their daily duty, it’s not generally considered an acceptable solution for the modern mariner. We have years of experience with a Jabsco marine toilet. Our last boat had one. And over that time, I think we replaced almost every part on it. Some parts twice, and a few, three or more. And that was OK at the time, because we only used the boat occasionally, and if something broke (“Look honey, the toilet is gurgling again”), we could just not go sailing until we fixed it. It’s a Raritan PHC. And it’s probably one of the single best upgrades we’ve installed. This thing just works, works well, and works every time. With a weekly tablespoon of vegetable oil and an occasional dose of vinegar (I’ve heard this elixir referred to as “head dressing” 🙂 ), it has handled everything we’ve thrown at it in over ten months of constant use. We finally had to replace the first part last week, the joker valve, which if you have any MSD experience you know is a consumable item that gets replaced more or less annually. So this is actually a gear review posing as an anecdote. 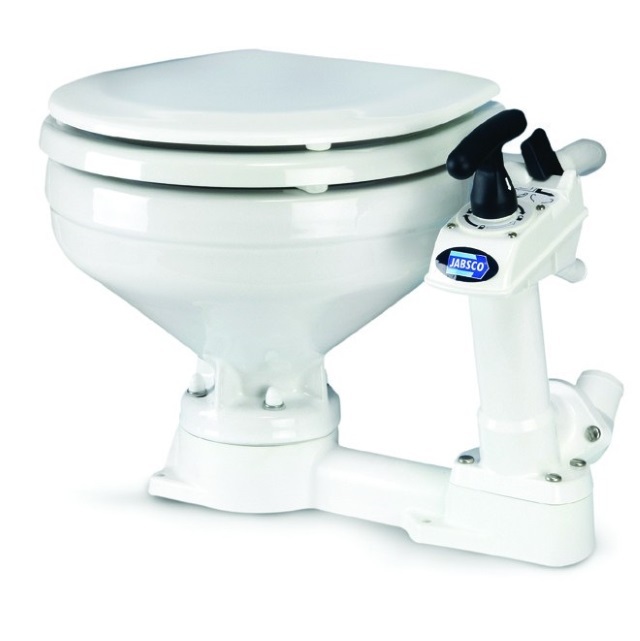 I just wanted to point out that if you’re tired of having to disassemble, unclog, clean, and grease a Jabsco toilet while feeding it a constant diet of flapper valves, O rings and repair parts, then I think this is an upgrade you should consider. Because it really takes care of business. And for that, it gets the LOTH Seal of Approval. This entry was posted in What?, Why? 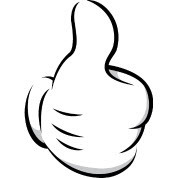 and tagged Jabsco head, Jabsco toilet, marine toilet, Raritan PHC review, Raritan toilet, Seal of approval on October 20, 2015 by Robert. Her name is Theresa Laird, and if you’d like, you can see her work and read her story at www.theresagrillolaird.com. This entry was posted in Where? 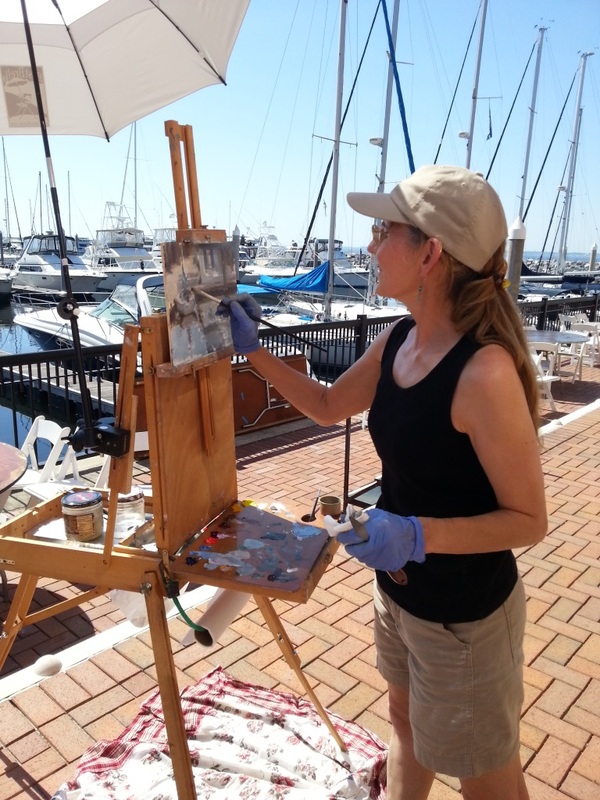 and tagged a life afloat, living downtown, marina life on October 17, 2015 by Robert. 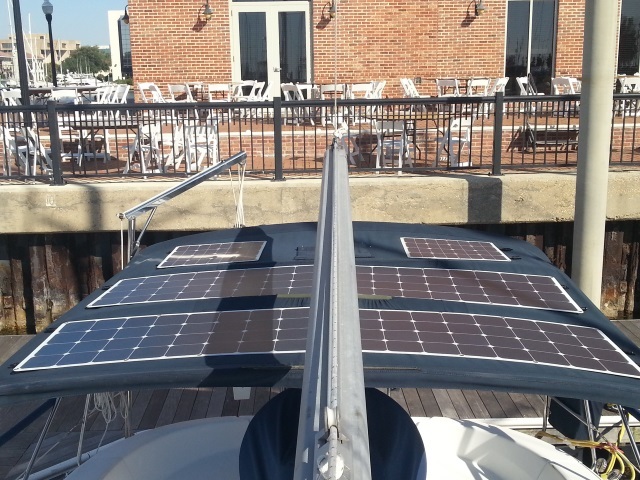 Today’s task: laying out 500 watts of flexible solar panels so our canvas guy can take measurements for our new bimini. Once installed, this setup should give us over 30 amps of DC current in full sun. After a great deal of research and head scratching, we’ve decided to go with Lift-The-Dot fasteners through the panel grommets to hold everything down. I’ve never seen it done that way before, but it sure seems to make sense, and will be much easier to use than Velcro if the panels ever need to be removed in a hurry. It will probably be a month or more before it all comes together. Rest assured that once complete, the project will figure prominently in another chapter of More Power Scotty! This entry was posted in How? 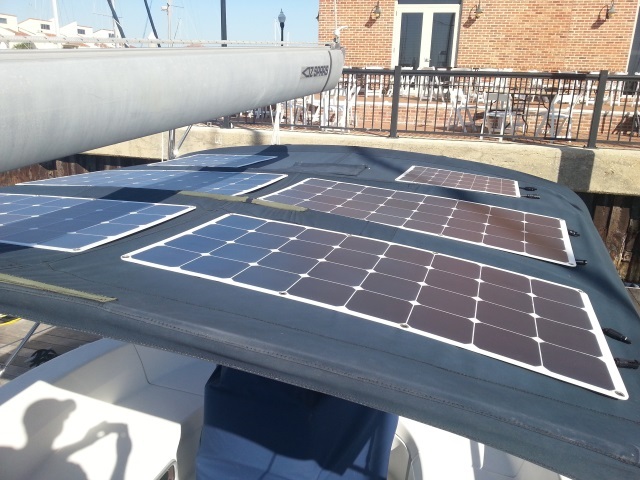 and tagged flexible solar panels, marine solar panels, solar panels on a boat on October 16, 2015 by Robert. We used to live in a large custom home that we designed and had built. It was a very nice home, with a great deal of what realtors call curb appeal. We lived there for over 17 years. But as nice as it was, I can’t remember a single time when someone stopped to use our home as a backdrop for a photo session. 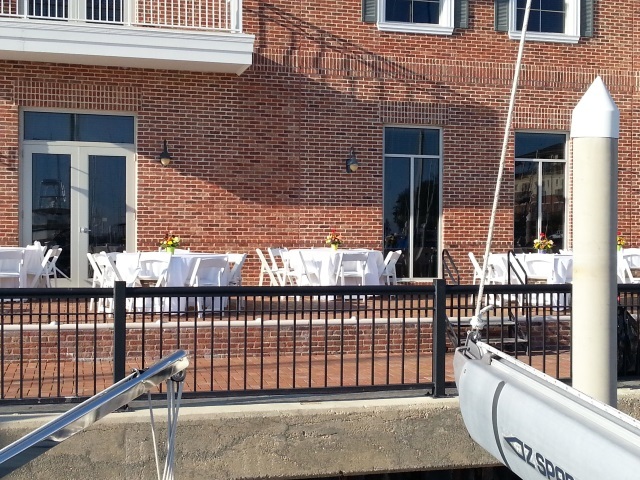 Now that we live in a marina, however, it happens all the time. Hardly a week goes by that we don’t have photographers lining the railing above our slip, quite often at sunset, using our boat, our dock and the marina as a backdrop. We’ve seen countless couples pose for pictures, apparently celebrating an engagement or wedding or other significant life event. In the spring, it was high school kids and prom pictures. A few months later, it was cap and gown shots. One time while Rhonda was in town having dinner with her sister, I heard thumping in the cockpit. 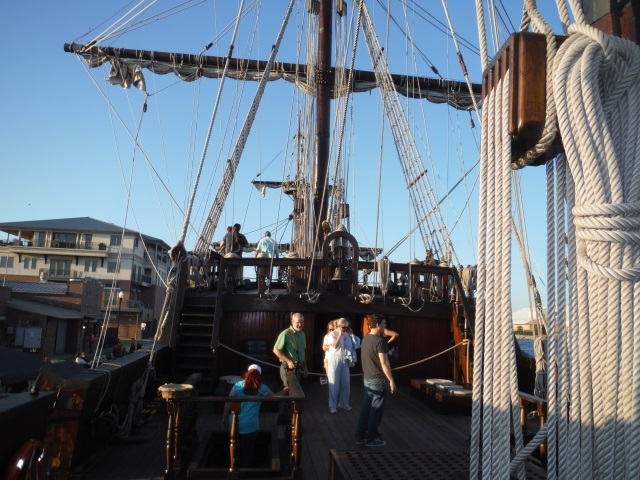 Sticking my head up to investigate, I found a photographer who had somehow gained access to the dock (we’re behind a locked gate, but the code is Pensacola’s worst kept secret) posing three young women on our stern. He apparently thought it would make a pleasant picture. 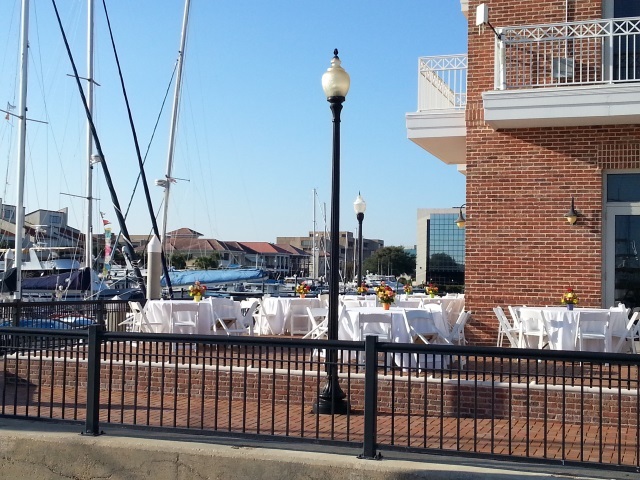 Returning recently from a long weekend at anchor, we discovered that the local Morgan Stanley brokerage was holding a dinner for their clients in our backyard. It wouldn’t have been much of a reach to help ourselves from our cockpit. And then there was the wedding. A couple of weeks back, a trawler pulled up to the dock. A few days after, a small crew busily decorated it. Curious about the goings-on, I struck up a conversation with the boat’s owner. 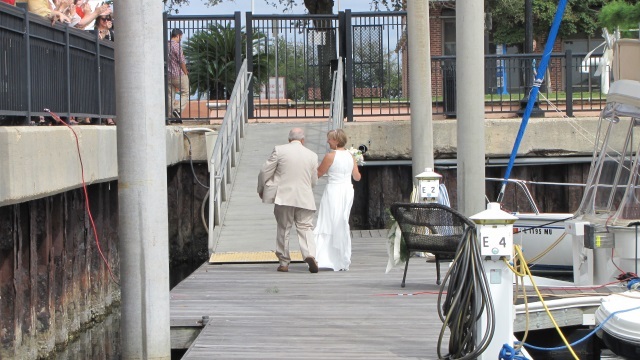 He told us he’d brought the boat down the Tenn-Tom waterway from northern Alabama to get married in Pensacola. “Well that’s cool,” Rhonda and I said to ourselves. We haven’t seen that before. 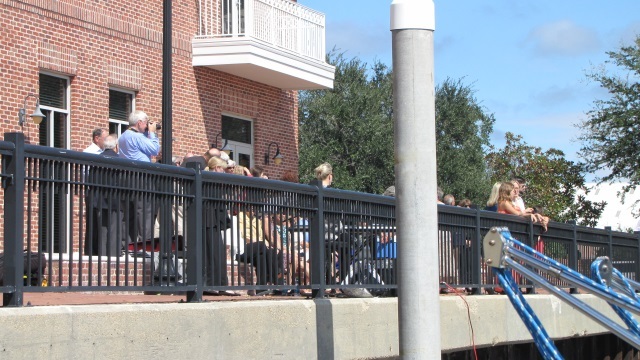 the guests gathered on the upper walkway directly across. 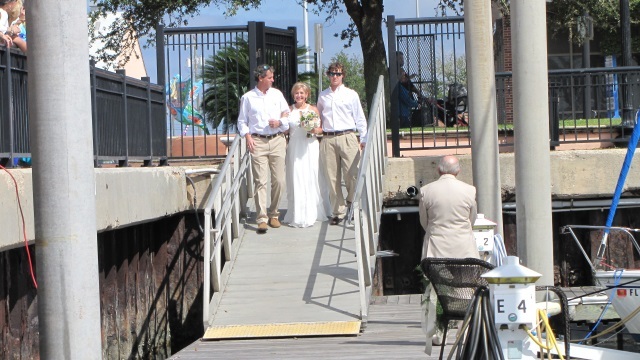 and then they boarded the boat for the ceremony. We couldn’t help giving a celebratory toot of our air horn as the newlyweds departed to start their new life together. So why write about this? Because it’s important that we not focus solely on the destination, our eventual departure for a Life On The Hook™. 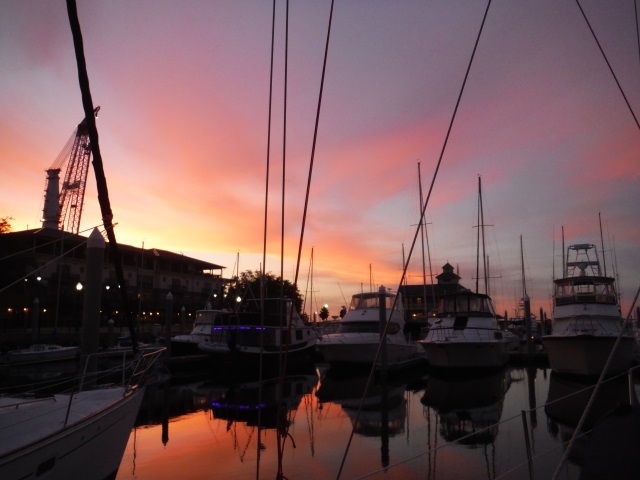 Each step on the journey is part of the trip, and our time spent living at a marina in downtown Pensacola has created some truly special memories. I imagine that someone whose daily view consists of the Eiffel Tower or Statue of Liberty eventually stops seeing it as something unique. But these continual reminders that others view our current home as a suitable backdrop for life’s special events helps us continue to appreciate how, even with its challenges and inconveniences, we’re living in a truly extraordinary place. This entry was posted in Where? 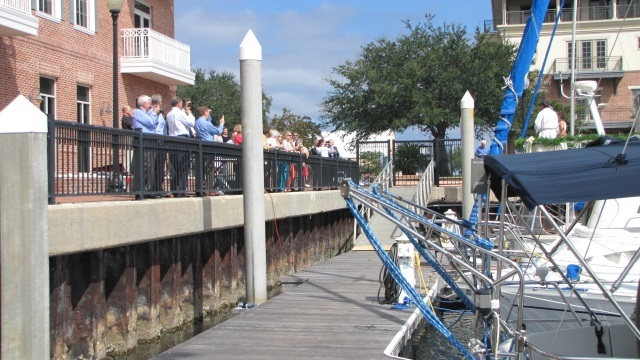 and tagged downtown Pensacola, life afloat, marina life on October 13, 2015 by Robert. We headed out Friday afternoon to spend the long Columbus Day weekend at the beach. The sun is setting earlier now, and we only had two hours to make the anchorage before dark. It’s an easy 90 minute motor from our slip to Little Sabine bay, which meant we had plenty of time. But there was a fair southwest wind, and well, we’re sailors, dammit, not power boaters. 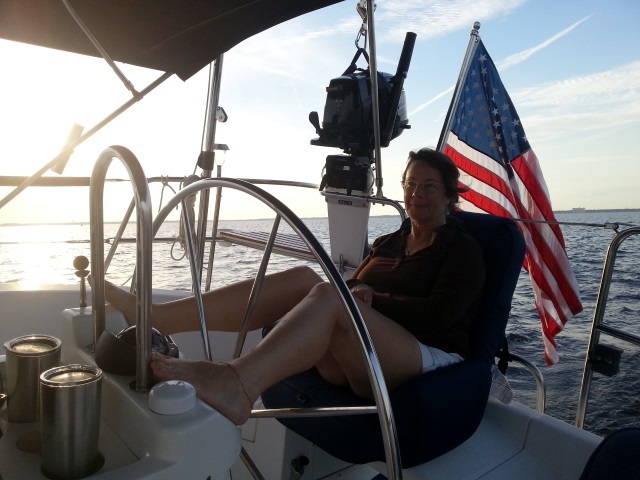 We’d been busy the past two weeks getting our dive certifications, and we wanted to go for a sail. So we rolled out the main and jib and shut off the engine and coasted quietly along at 5 knots. It was a good wind, but not quite from the right direction, which meant we had to take an indirect route to the beach. Time got away from us, and before we knew it, the sun started to set. But when we saw the show nature had in store for us, we lost all thought of hurrying to make the bay and drop anchor before dark. Instead, we pointed up, drifted, and just took it all in. We’ll pick another time to be in a hurry. Tonight, we just wanted to sit back and enjoy the show. 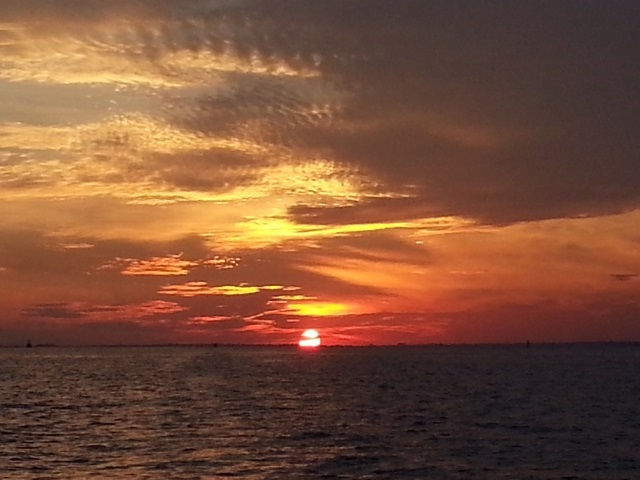 This is why we sail. This entry was posted in What?, Why? 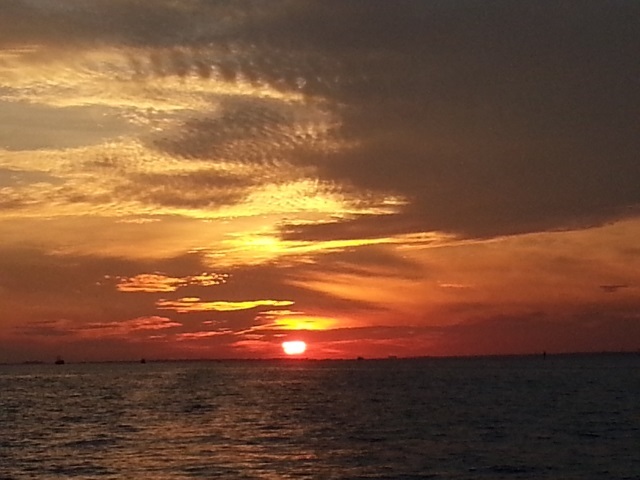 and tagged sunset, why we sail on October 10, 2015 by Robert. 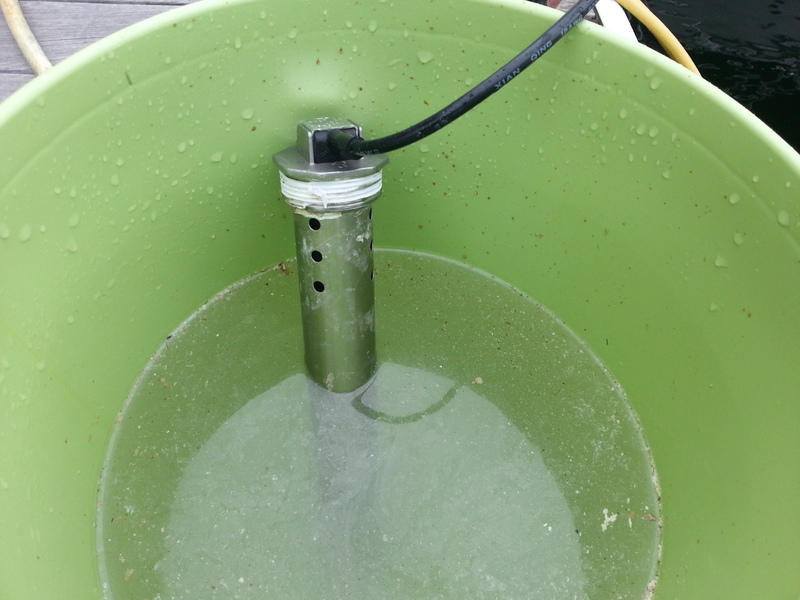 It’s been three months since I placed the copper fittings in the air conditioning seawater strainer as described in Boat Hacks – Marine Growth Edition, and it’s time for an update. I’ve cleaned the strainer about three or four times since starting this experiment, and while the addition of copper hasn’t done a thing for the slime and soft growth that forms (nor did I expect it to), I haven’t found a single barnacle forming inside the strainer body since that time. Usually there would be a half dozen or so that I’d have to chip out at each cleaning. 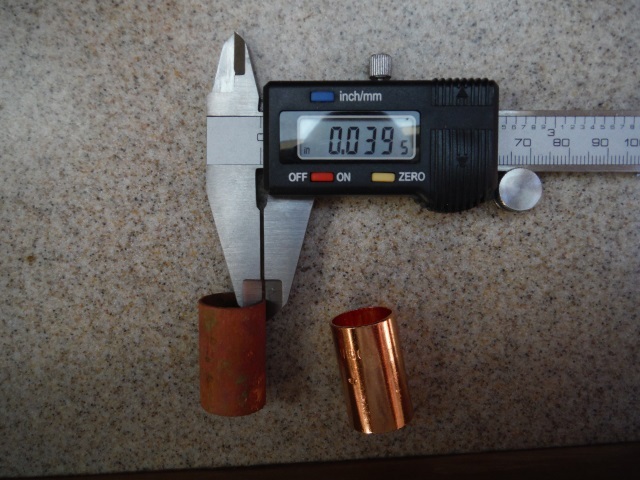 I used my digital caliper to compare a new fitting to one that’s been inside the strainer for the last 90 days, and I found that the used one was uniformly thinner by about a thousandth of an inch. This tells me that copper is definitely dissolving into the seawater as it flows through the system. So with no apparent downside, a very low cost to implement, and good results so far, I’m going to call this hack a success! This entry was posted in How?, Why? 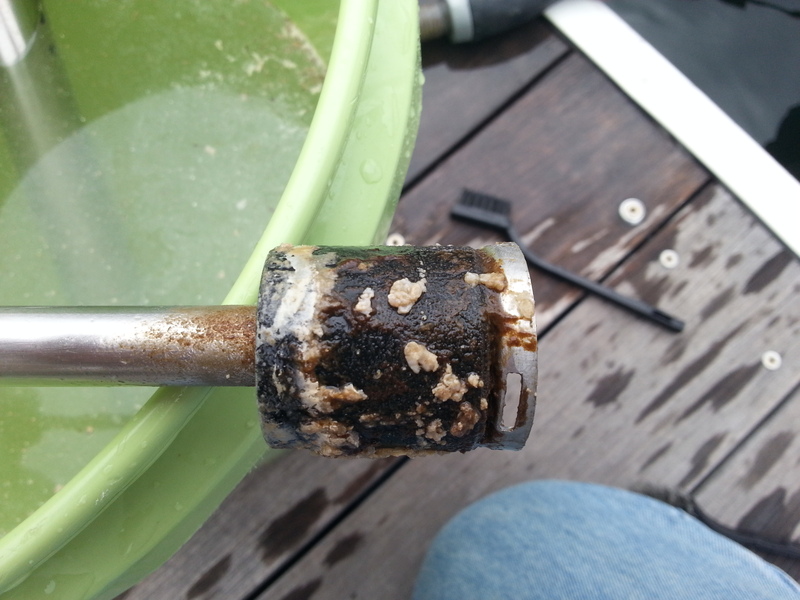 and tagged antifouling, boat hacks, cleaning seawater strainer on October 8, 2015 by Robert. We take pride in the fact that everything onboard Eagle Too works. When you’re talking about an 18 year old boat, that’s really saying something. It comes from her having had a previous owner that was meticulous about maintenance, and our obsession with fixing anything that isn’t doing what it’s supposed to do when it’s supposed to do it. There’s one item onboard though that requires way too much of our time and attention. And dealing with it is beyond a doubt one of our least favorite things. One of the challenges of a life afloat is managing the level in our holding tank. That’s the tank that holds the discharge from the toilet, in case you weren’t aware. When the tank gets full, you have to have it pumped out. If you don’t, then it will overflow out the vent. 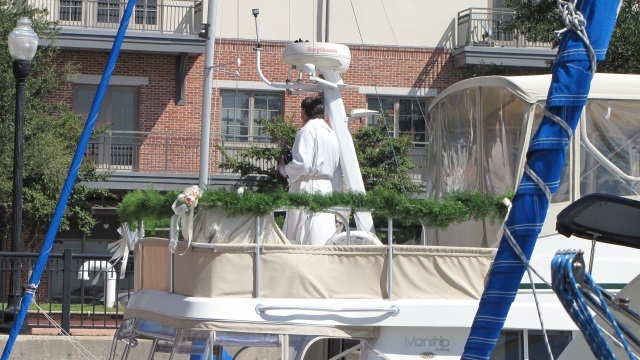 Letting your holding tank overflow into the marina violates a bunch of environmental laws, and additionally makes you very unpopular with your marina neighbors. So we have to keep an eye on the level gauge, and plan to periodically move to the fuel pier for a pumpout. This planning can actually get a bit complex. We don’t like trying to maneuver our 37 foot, 18,000 pound craft around the close quarters of the marina if the wind is too high, and we’ve learned that if it’s blowing from the west, we can get pinned to the fuel dock, making it hard to get free and make it back to our slip. So it’s more than just saying, “The tank’s full honey, let’s go pump out.” We have to have one eye on the level, and the other on the weather forecast, and try to predict a day and time when we’ll both be available and the wind is favorable, before we get too full. Now this gets really complex if your level gauge doesn’t work. When we bought our boat last year, we noticed pretty quickly that the holding tank gauge always read “empty.” Since we were pretty sure we didn’t have a tank with infinite capacity, this was something that had to be fixed. 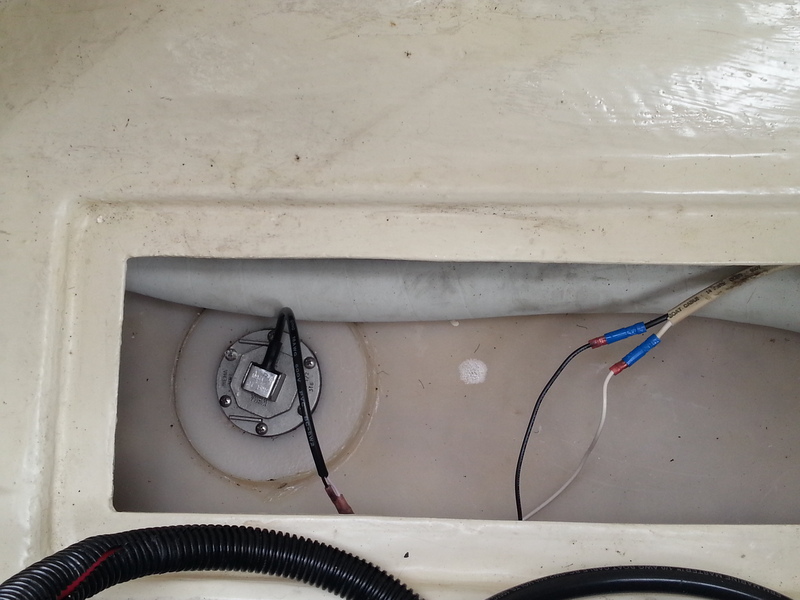 Having had a little experience with holding tank level sensors on our previous boat, I knew exactly what we needed. This unit from Wema is rugged and reliable, and once you have it installed, it’s easy to remove for cleaning. Now you might be thinking, “Remove for cleaning? Are you serious?” Unfortunately, I’m afraid so. We’ll notice that the gauge has been reading the same level for a couple of days, which tells us something isn’t right. So the level sensor has to be pulled to be cleaned. And it’s probably our least favorite job. But we have to do it. A lot. Way more than I think we should have to. Like once a month or so. Why so often? Two words. Toilet paper. But more on that in a bit. Here’s the holding tank sensor. Notice the quick disconnects we installed in the wires. This lets us unplug the sensor and unscrew it from the tank. 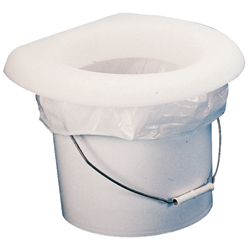 I fix up a bucket of warm water with bleach and drop the sensor in to soak. Remove the retaining clip from the end and slide off the sensor body, and you can immediately see the problem. You see, when you flush toilet paper down the toilet, it turns into pulp in the holding tank. It basically becomes paper mache. Foul, odorous glop. It gets inside the body of the sensor and glues the float in place. You then have to take the sensor apart and clean off the glop. A job I’m getting pretty good at, and can now knock out in about 15 minutes. A quick scrub with a nylon brush, and everything is ready to be put back together and reinstalled. Now I’d really like to not have to do this job so often. But there’s only one solution to the problem, and it can be somewhat controversial. There’s little middle ground on this issue. You don’t put toilet paper in the toilet. It goes in a small trash can instead. 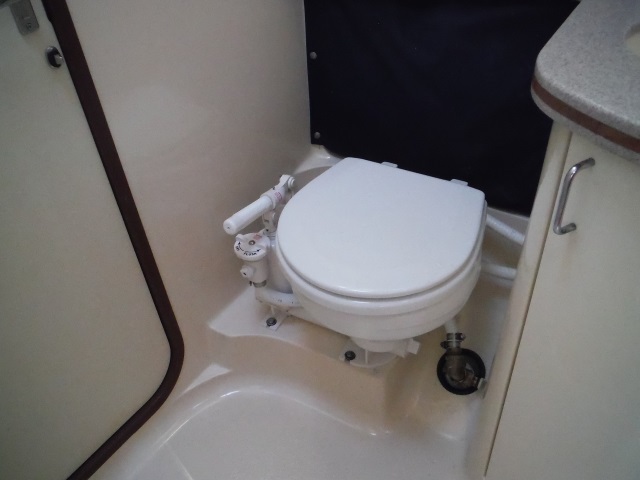 If you have a boat with a marine toilet (head), I’m sure you’ve heard the instruction that “nothing goes in the toilet that hasn’t first gone through your body.” Since we typically don’t eat toilet paper as part of a healthy diet, then it is obviously excluded. But I’d guess most people would probably think it’s pretty icky to put it in a trash can, so they flush it. And your boat might be fine with that. Ours obviously isn’t. So we don’t. OK then, no toilet paper it is. We even found that on some of the islands, where the sewage treatment systems are very rudimentary, when using a perfectly normal toilet at a beach bar or resort there would be a sign in the stall that said “deposit toilet paper in receptacle” and a can to toss it in. So we are familiar with the drill. And we’ve adopted it as a practice onboard Eagle Too. This entry was posted in How?, Why? 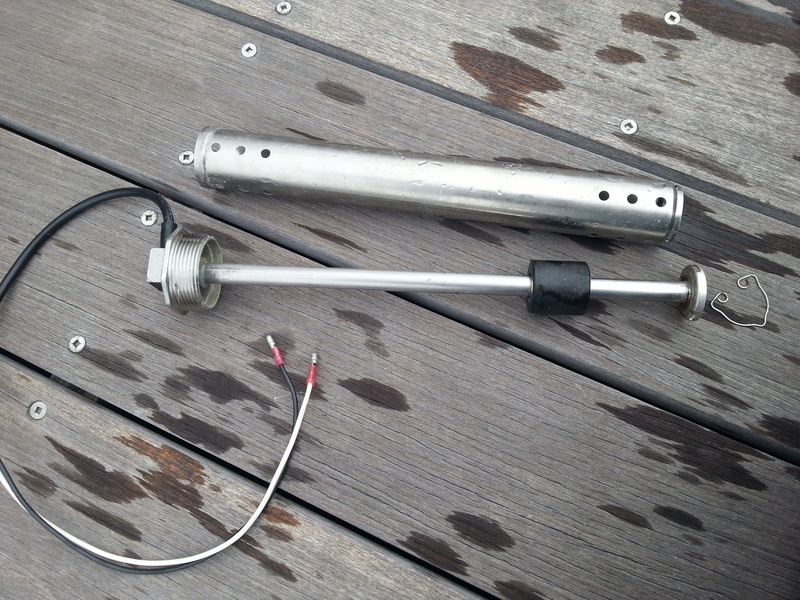 and tagged cleaning holding tank sensor, clogged marine head, wema sensor on October 7, 2015 by Robert.